VISALIA – When Visalia high school football teams take the field later this month, they will be wearing the same type of helmets worn by their favorite NFL players. More importantly, the helmets will provide them with same level of protection from concussions as the pros. 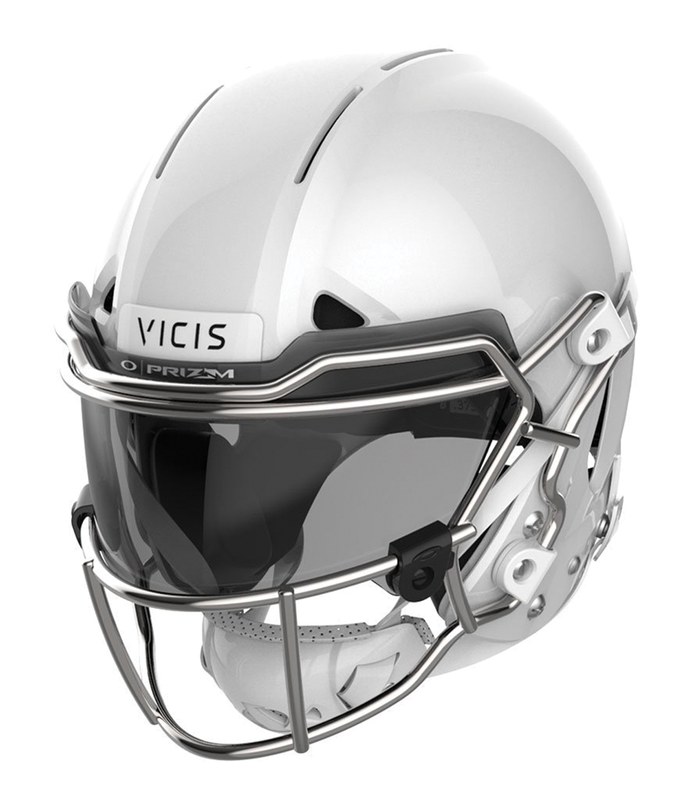 On July 26, Visalia Unified School District announced it would equip varsity football players at all four of its high schools with the Vicis Zero1 helmet for the 2018 football season. The Zero1 is the top ranked helmet in the National Football League (NFL) and National Football League Players Association (NFLPA) helmet performance testing and the 2018 Virginia Tech Star Helmet Ratings. Visalia Unified’s decision to equip Golden West, Redwood, Mt. Whitney and El Diamante High Schools in the Zero1 is part of a larger commitment from high schools around the country to outfit student athletes with the most technologically advanced equipment. In the first half of 2018, over 1,000 high school programs and 120 professional and college teams have made a commitment to have players in the Zero1 for the 2018 season. The purchase of the Zero1 helmets, which cost just under $1,000 each, was made possible due to the support from a local business, Groppetti Automotive, and the Groppetti family, who have close ties to the community. Don Groppetti made the enormously generous donation to Visalia Unified after being approached by a local business owner and concerned parent of a JV player at Golden West, where Groppetti sponsors the stadium, Groppetti Community Stadium. Originally introduced to NFL and NCAA teams, the Zero1 is now being worn by high school programs across the country for the 2018 season. The Zero1 is the most technologically advanced helmet on the market, designed to reduce impact forces with a highly engineered structure that differs from traditional football helmets. The Zero1 has a deformable outer shell and a unique columnar layer designed to slow impact forces like a car bumper. Vicis is a Seattle-based company focused on sports protective technologies. Its inaugural product, the Zero1 football helmet was named one of Time Magazine’s 25 Best Inventions of 2017. Vicis was also named one of Fast Company’s 2018 Most Innovative Companies. The company is funded and/or advised by several current and former NFL players, including Roger Staubach, Jerry Rice, Russell Wilson, Doug Baldwin, and Alex Smith. For more information or to reserve a helmet, visit www.vicis.com.